Skilled workers can be sponsored for short term (sc 400 visa, 3-6 months), temporary (TSS visa 1-4 years; Training 407 - 2 years) and permanent (PSSE sc 186/187 visas) employment. Nomination and visa applications are complex and have strict assessment rules. Our experts successfully guide employers and visa applicants through the application process. We maintain an active database of employers across Australia with intention to sponsor skilled workers for temporary and permanent roles. Sponsored visas include TSS (482), ENS, RSMS, Training (408) and Short Term Specialist (400) visas. Skills assessments are mandatory for many work visa applications. Our extensive expertise assists candidates with complex and high risk skills assessments. 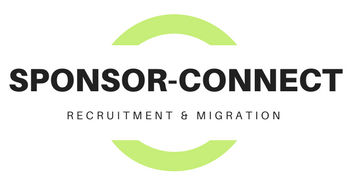 We also advise candidates on long term migration pathway planning. Expression of Interest (EOI) in SkillSelect provides access to skilled visa migration to Australia. We possess extensive knowledge and experience in SkillSelect case management to position our clients for skilled (189/190/) or sponsored (186/187) visas. We retain highly experienced registered migration agents and practicing lawyers to advise clients, review applications and to appeal application refusal and cancellation decisions at Departmental, Tribunal and Federal Court levels. Engineers, tradespeople, chefs, accounting professionals now in demand in regional areas of Australia. Support services covering all complexitites of skilled and sponsored migration. As a rope access and confined spaces expert with global experience and international certifications I found my skills were in high demand in Australia’s mining and construction industries. Finding an employer willing to commit to my employment with a scope to permanent sponsored migration was very important to me. I found the right employer and have recently been granted my permanent residence visa. I had many years experience in data mining in my home country but found it difficult to locate a willing sponsor in Sydney. I had the skills, experience and qualifications but found it frustrating that many employers wanted citizens or permanent residents only. I found an employer in Mt Isa, Queensland and am happily working. We expect to lodge permanent visa nomination and application within the next few months. I was a commercial painter back in Ireland and came to Australia on a working holiday visa. My employers were not willing to sponsor me and I felt I really wanted to stay in Australia and not go back home. I pooled some capital with an Australian friend and we purchased a business for sale as a partnership. We have gone on to grow the business and hire more staff and I will soon lodge a permanent visa application through this business. Allied health professionals are in very high demand in rural and regional areas. Why are nomination refusals on the rise?